Posted on Tuesday, July 8th, 2014 at 5:19 am. Once a fighter wins a title, he hopes for bigger and better fights along with the purses that correspond in fighting the best. For fifteen-year old veteran Jhonny Gonzalez, the current WBC featherweight champion, it has led to everything but. Gonzalez captured his latest title last August when he impressively and shockingly knocked out the previously undefeated Golden Boy Promotions’ star Abner Mares in the first round in the main event at the then known Home Depot Center in Carson, California, outside of Los Angeles. An electrifying left hook to the chin of Mares sent the former three-divisional world champion to the canvas. Hurt, Mares proved to have a heart of a lion as he reached his feet determined to keep fighting. A barrage of unanswered punches seconds later and another knockdown was enough for veteran referee Jack Reiss to pull the plug. The fight was supposed to be an open and closed case for Mares en route to a bigger fight against fellow rising star Leo Santa Cruz. Gonzalez upset the apple cart but instead of Gonzalez, whose lead promoter is Promociones Del Pueblo of Mexico, getting the more lucrative fights, he has been sent to the doghouse and instead relegated to fighting back in Mexico which he did this past May in Acapulco stopping Clive Atwell in ten rounds. The featherweight title is not the first Gonzalez has captured but it was against the biggest name opponent. He captured the first title back in 2005 when he stopped Ratanachai Sor Vorapin in seven rounds to slap the WBO bantamweight title around his waist. He stepped up twice the four pounds to super bantamweight but came up short but in 2011 he stopped Japanese Hozumi Hasegawa in four to capture the WBC featherweight title. He defended it three times before facing Daniel Ponce De Leon and losing it a year later. Considered his last shot at a title, the thirty-two year old made good against Mares and got back into the elite of the sport especially the way he finished him off and the platform, Showtime, he did it on. A much-talked about rematch was planned for March on the undercard of one of the biggest stages of the year, the “Canelo” Alvarez versus Alfredo Angulo, but Mares claimed to be hurt. Later the truth came out that Mares not only was having problems with his manager, Frank Espinoza, but also changed trainers from Clemente Medina to Virgil Hunter. Gonzalez is campaigning for a big fight along with a big payday. One that is being talked about is a face-off against fellow Mexican Jorge “Travieso” Arce. Arce is on his own quest looking for sixth title in as many divisions. The issue with that fight is that Gonzalez is linked to the Mexican Televisa network while Arce is with the Azteca channel, a below the border feud much alike HBO and Showtime. Another possibility is former world champion Christian Mijares which at this point, despite Mijares a former world champion, is not as a high-profile as one with Arce. The last name being bounced around is Puerto Rican’s Jayson Velez. Young and hungry, he might be the biggest threat to the strong and lanky Gonzalez. 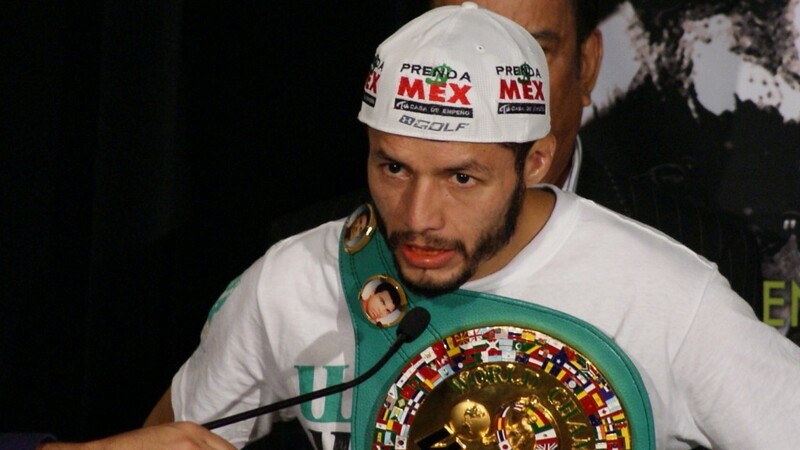 Understandably, what Gonzalez really wants is Mares but it is strange the champion has to call out the challenger.